I love bow blouses. I wish I had more occasion to wear them, especially the pretty chiffon ones! 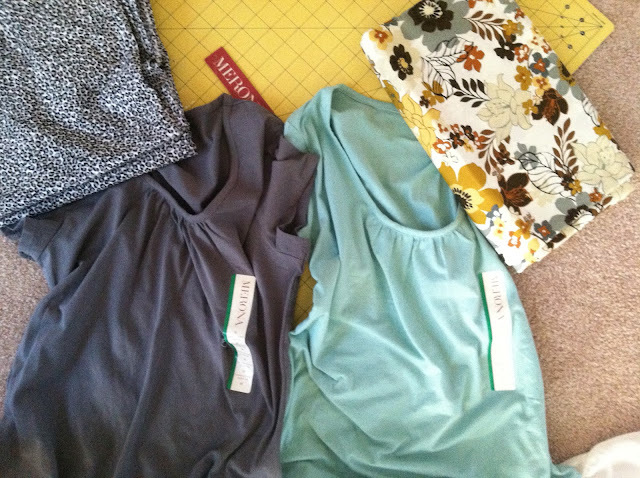 I was at Target today, browsing their current Jason Wu line, and picked up a bow blouse for my shopping cart. But then I realized I needed to buy Breaking Dawn: Part 1 on Blu-Ray instead, and saw another shirt from the collection for $22.99, a regular t-shirt with a bow... What a great idea! Especially since I'm a little obsessed with the bow that character Emma Pillsbury wears so consistently on Glee. I checked out the construction, and it was simple enough. This is something a novice can do! I think it took me a total of about twenty minutes. The shirts are super soft, and they are more casual than a normal bow blouse. I could wear these with jeans, or a coordinating cardigan! 1) Sew the bow right sides together, then turn inside out. Finish the ends. 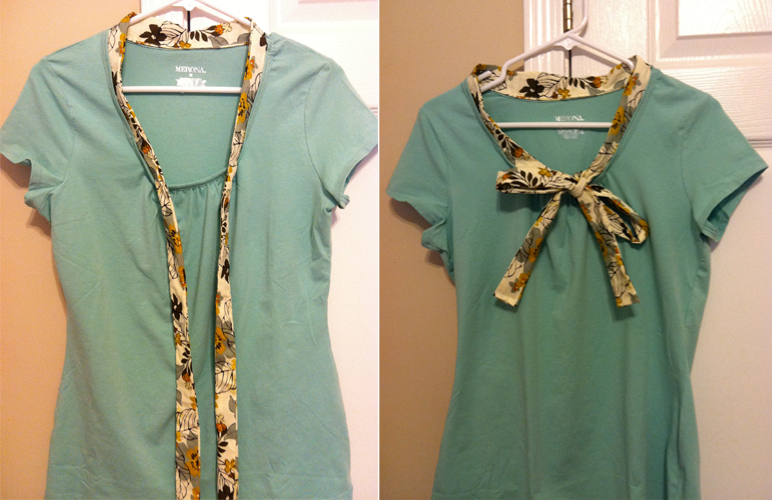 2) Simply pin to the inside of the collar, and sew! 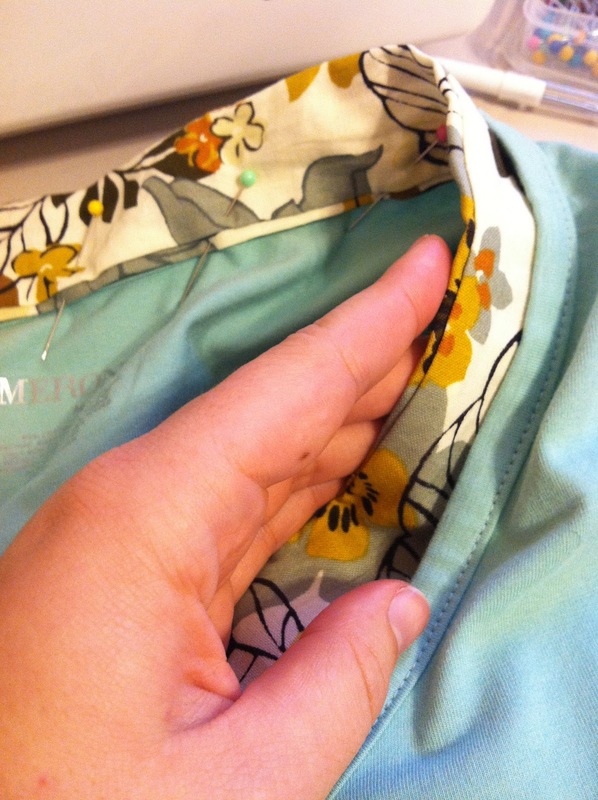 Make sure your thread blends with the shirt color to hide your work. Gleek Peek: I hate being right. Gleek Peek: Soy una Gleek y yo sabes!